We’re taking an extended weekend to celebrate Labor Day a bit early with Dave’s family, so today I have a guest post from Sophia! Sophia is a freelance writer from Brisbane, Australia with huge interest in beauty, fashion, makeup and graphic design. She is also very passionate about organic cosmetic products, natural beauty, and could be described as fashion addict and life lover. 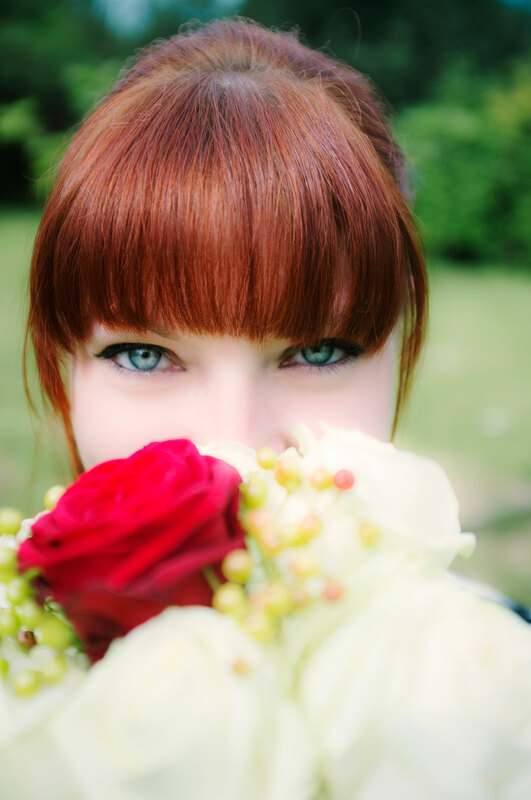 She writes in mostly beauty related topics, mainly through blogs and articles. You can find her on Facebook, Twitter, Google+, or Pinterest. Shades of the red; so pretty in the summer. Long, cold and boring winter is far behind, coats and boots are thrown in the back of the closet, and swimsuits and flip-flops are once again our daily uniform. But to truly blend with hot sunny summer and enjoy it the way we are supposed to, we have to ditch dull dark colors that we put ourselves in for the past couple of months. Black, brown and gray are out, and strawberry red is in! We all know the woman in the red dress. She is brave, she is bold, she represents escape from real life. And this summer, that is exactly what you need. Escape from your everyday routine, job and responsibilities. All you really want is to lay on the beach, read a good book, drink a refreshing cocktail and not think about anything. Just imagine yourself sipping a strawberry mojito or tarragon smash while tanning on a white sand beach far from home. To complete this image, what you must not forget is to bring bright red bikini with you that looks good on every skin tone, and with every hair color. Whether you are lying in the shade flipping through magazine pages or swimming in the deep blue sea, you are bound to be noticed. And to perfect your look, there is nothing wrong with a little bit of organic makeup and strawberry lip gloss that will make your lips the most desirable ones on the beach! The color of the blood, red, gives you energy, it gives you strength and power to feel like you can do almost everything. A bold strawberry red dress with high heels for the evening will draw just the right kind of attention. It will make everyone’s heads turn and talk about the amazing, confident, beautiful woman wearing it. Stand in the middle of the club, order a Bloody Mary to match the dress, dance, and enjoy summer nights that are in front of you. Many women decide to dye their color blond for the summer, but this year, you should dare to be different, as berry will be the new blond. With the shiny effect it creates, burning red looks good on every woman: those with pale complexion will stand from the crowd, and tanned women will manage to emphasize their beautiful summer complexion even more. From lighter to darker tones, berry has no limitations. You do not need dark colors to make you look slimmer, but pick up your cocktail, get into your strawberry red bikini and walk the beach with your head held high, as the real beauty comes from your confidence. Trust me honey, you look amazing! 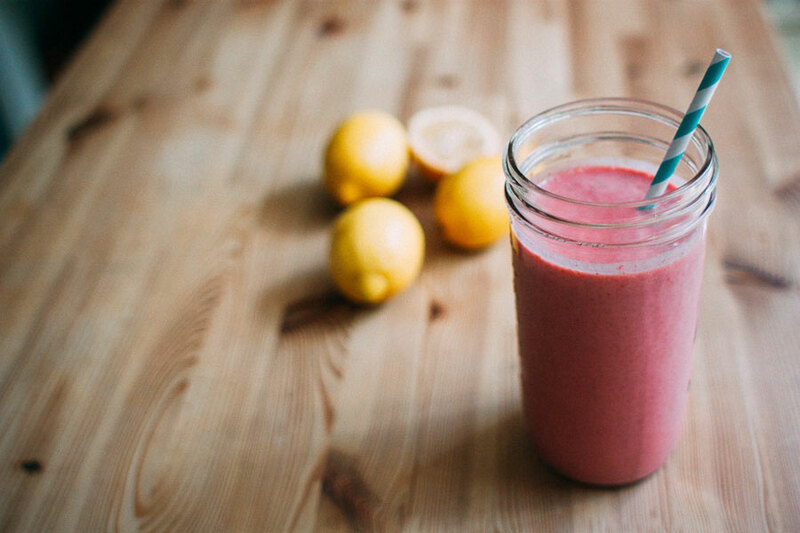 Have you been rocking strawberry this summer? How do you like to incorporate the bright hue into your wardrobe? I’ve definitely noticed how popular this color is! Love it! I love strawberry color, it’s all over the place! My hair is naturally strawberry blonde but I lighten it up and take the strawberry out…I find I look a little too strawberry shortcake if you know what I mean? I love strawberries though! Now all I want is a strawberry margarita on the beach!! Strawberries are one of my favorite fruits and their color just pops in the summertime! I am OBSESSED with this strawberry trend! I absolutely love strawberry colors during the summer! YES! I agree. Strawberry everything. These are so great! I dyed my hair bright copper red for a couple years before I just went platinum and absolutely loved it! I bet that looked amazing, Courtney! I LOVE strawberries and all things strawberry colored! I have always dreamt of having red hair, but it’s such a change I’m terrified to go for it! I love red hair, but like you am a little scared to take the plunge. I think you’d look great with it, Nicole! 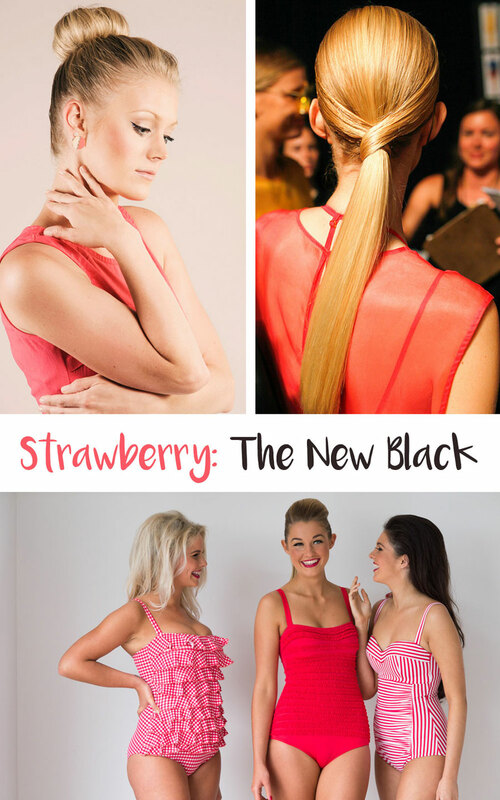 Dying to get myself a strawberry red dress! I absolutely love the color. I’ve also been thinking about dying my hair a reddish color but I’m not sure if I’ll actually do it! I do too, and that hair color would look gorgeous on you, Kayla! I have noticed that strawberry colored hair is tending now. This is such a fun color! I love all things strawberry! Strawberry red is definitely a summer color! It reminds me of bbqs and pool days! So true, it really is the perfect color for summer! I’ve been incorporating strawberries by EATING them…does that count?! Lol! LOVE strawberries always! Of course! That’s my favorite way to enjoy them too, haha!